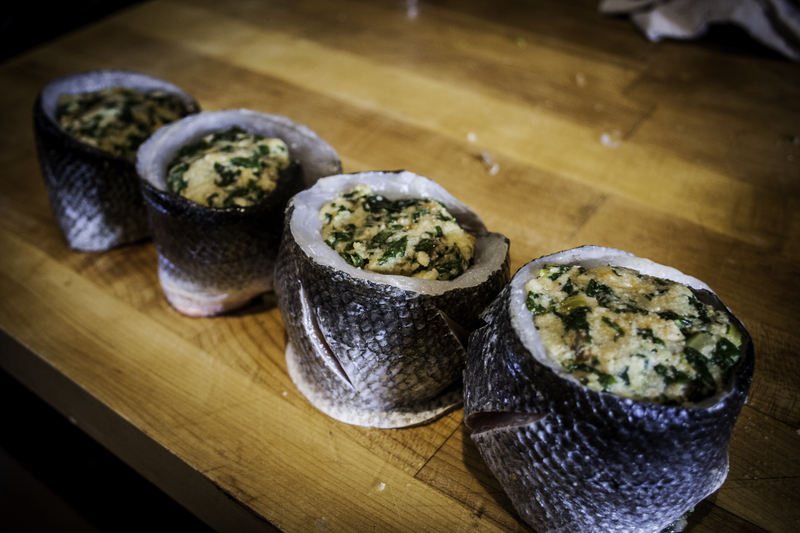 Loup de Mer, or Mediterranean Sea Bass, has long been one of my favorite fish to eat. Here is a simple preparation I pilfered from the internationally renowned Alain Ducasse. If you ever have a chance go eat at any of his restaurants around the world. Simply amazing. Add Swiss chard, egg, parmesan, tomato confite, mashed garlic and herbs. Bone loup, roll filets, tie. Roast loup de mer, baste in olive oil. Sauté Swiss Chard stems in butter. Plate in center of plate with fish on top.